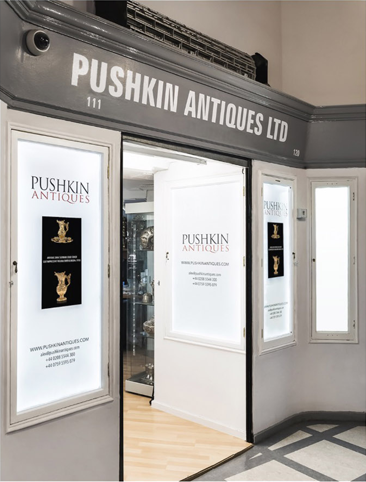 At Pushkin Antiques we specialise in unique statement pieces of antique silver as well as branded luxury items, stylish interior articles and objets d'art. Pushkin Antiques is an international leading dealership specialising in antique silver, luxury interiors and objects of vertu. Our exclusive & constantly expanding collection of fine English, Continental, Russian and Oriental silver is the flagship of our company. We also offer a selected assortment of branded statement pieces & rare objects of art. All the items in our collection are attentively inspected and researched. That's how we can offer our clients the finest quality and guarantee of authenticity. These values make us a benchmark for international silver collectors and interior decorators. Thanks to Alexander’s innovative vision, our popularity constantly grew until nowadays. Today, we can pride ourselves to be one of the leading pioneers in expanding the high-end antique online market. Our presence on most major platforms has allowed us to reach markets from the Far East, Americas, Europe and Russia. Experience, effective customer service, quick and secure shipping all over the world are our strengths. In 2013 we also opened the largest showroom in Grays Antiques Centre in Mayfair, the heart of antiques trade in London, giving us a convenient central location to meet both our domestic and international buyers. Through our vast network we are always able to source the right piece you are looking for, even if it is not listed on our website. We offer professional investment advice and valuations both to international collectors, private buyers as well as collaborating with major museums. Please do not hesitate to contact us or visit us in our Mayfair showroom. Alex is the founder and the backbone of Pushkin Antiques. He gained a Ba in Arts and Design he is a visionary of how antiques should be sold in the 21st Century. 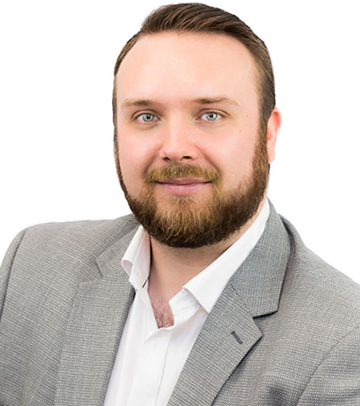 He is very passionate about antiques, providing exceptional customer service to each client, and has an incredible knack for bringing out the best in everyone around him. Even when Alex is not working, he is working, being a true definition of a workaholic and an antiques buff. That's why in his spare time he loves to visit antiques fairs and museums, to help him better his ever expanding knowledge. 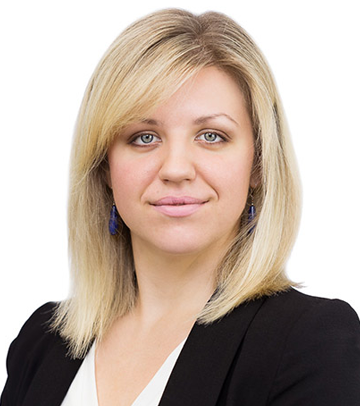 Olga plays many roles at Pushkin Antiques, among them accounting, management, and general organization. In short, she loves doing things that most hate. Having obtained a BA in Management and Master of Business Administration and engineering, she is the essential team member and the driving force behind the future growth of the business. When she is not working she is a proud full time mum to a "little trouble makers" called Amelia and Leo. 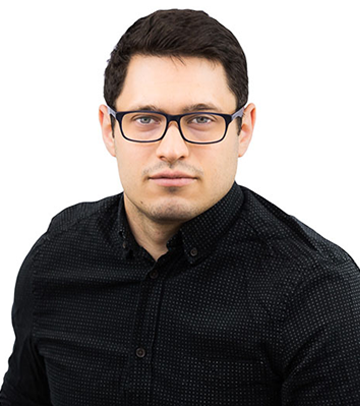 Dumitru is the Photographer at Pushkin Antiques, he's the youngest member of the team and from the very beginning he brought a new flow of energy and enthusiasm. He does all the techy-geeky stuff as well, usually complains about the coffee quality in London and how much he dislikes printers. When he is not photographing or traveling, he enjoys perfecting his culinary skills & learning more about the latest gadgets and technology.